In 1924, at the age of 55 Hamilton Howard Fish, who went by “Albert”, felt that God was commanding him to torture and castrate children. On February 11, 1927, Billy Gaffney went missing from his family’s apartment. The boy was reported seen on a trolley with an older man with a gray mustache. This man was also reported seen painting a house a few miles away from Gaffney’s apartment. After Fish was arrested and taken to the Sing Sing Correctional Facility in New York, Gaffney’s mother visited him to get the truth about her son’s death. Fish confessed to killing, cooking and eating Billy Gaffney. He admitted to making “stew out of his ears, nose, and pieces of his face and belly.” In 1933, Fish took Grace Budd from her home and sent a similar letter admitting to the same horrifying activities. Between 1924 and 1932, Fish had been suspected to play apart in the murders of nine young children all under the age of 17. During his trial, Fish was declared to have several sexual fetishes and pled to be mentally ill. One of the claims to why Fish had killed the children was because he felt a connection to the story of Abraham and Isaac in the Bible (Genesis 22: 1-24), which included the sacrificing of a boy. He also was believed to associate the cannibalism with communion. In March of 1935, Fish was found guilty of the murder of Grace Budd and was sentenced to the electric chair. On January 16, 1926, Fish was executed. "Albert Fish." Wikipedia, the Free Encyclopedia. Wikipedia, 5 Feb. 2012. Web. 05 Feb. 2012. 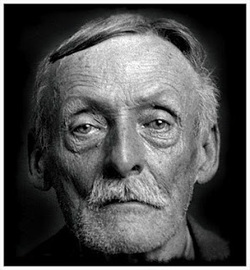 <http://en.wikipedia.org/wiki/Albert_Fish>. Taylor, Troy. "ALBERT FISH The Life and Crimes of One of America's Most Deranged Killers." AMERICAN HAUNTINGS: WHERE DEAD MEN STILL TELL TALES. 2004. Web. 07 Feb. 2012. <http://www.prairieghosts.com/fish.html>.